Vibrant’s whole part inspection approach is changing how aerospace, automotive and power generation markets conduct nondestructive testing. Increase your bottom line by minimizing part waste. Stop scrapping potentially good parts in hopes of catching a possible flaw. Reduce fail risk. Vibrant’s PCRT looks deeply at the whole part, quickly identifying parts out of conformity. Confidently increase efficiency. PCRT tests dozens of parts in a matter of seconds where materials lab or other methods can take days to inspect a single part. 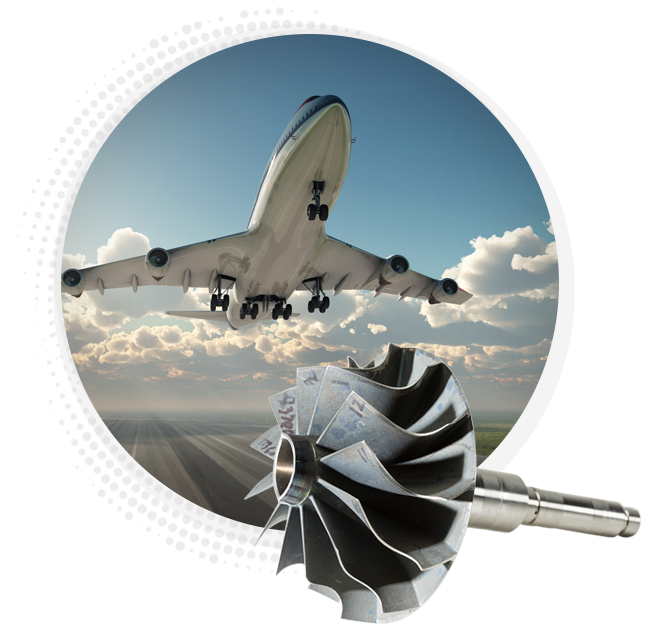 Vibrant’s PCRT Resonance Solutions for Additive Manufacturing provide game-changing reliability improvements and impressive economic opportunities to the automotive, aerospace and power generation industries. Unlike traditional NDT methods that struggle with the geometric complexities of additive manufacturing parts, PCRT’s unique abilities provide a whole part picture, helping you ensure the safety and reliability of every part. Vibrant continues to challenge today’s inspection and maintenance mindset, opening the door for new, progressive and economical opportunities to increase reliability and reduce part failure.